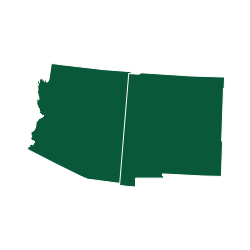 From Prescott, take U.S. Highway 89 north past Granite Dells, turn right on Hwy 89A and travel approximately 20 miles to the top of Mingus Mountain on steep, mountainous grade. Potato Patch Campground entrance will be to your left (across from the Summit Picnic Area) on Forest Road 106. From the Verde Ranger Station in Camp Verde, travel approximately 20 miles northwest on Hwy 260 (toward Cottonwood). Turn left on Hwy 89A. Stay on Hwy 89A (watch for a second left turn), then follow the paved and winding mountain road through the town of Jerome and up to the summit on Mingus Mountain. This road is steep with tight hairpin turns and few pull-offs in Jerome or on the roadway. The turn-off to Potato Patch is on the right, across from the Summit Picnic Area. 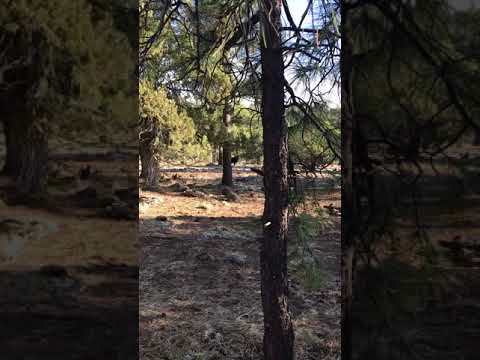 It's unusual to find electric hookups at USFS campgrounds in Arizona. The spaces are close together where there is power. During the week, the campers were retired people, mostly from Prescott. In June, the weather got hot by 11 AM, so being able to run the AC was needed, even at almost 8000 elevation. On the weekend, several families came and the adults stayed inside their RVs and let their kids be extremely loud until 9 pm. Next time, I would stay in the lower loop where spots are much bigger and take a generator. There isn't much to do, so camping with some friends would be better. The road up to Potato Patch has many 6% grades and tight mountain curves. Two loops, A and B. Stayed in loop B, with electricity. Asphalt level pull-throughs, pump water by composting bathrooms. Sites close, but all had trees to shield table. Fire restrictions currently. Several hiking trails reasonably close, small fishing lake 2 mi. distance, ghost city of Jerome on one side of mountain, Prescott on other. Located at 7K elevation, on winding road. The road goes for miles. You pass a few cattle crossings. Close gate after driving through. Some area big enough for large groups of about 5-7 cars! Cattle running during day and coyotes at night. Beautiful.